WI's contribution to Brigstock Living Advent window "Santa's Been" the sherry drunk and the carrot half eaten, the sack is spilling over on to the floor and toys spilled out, just waiting for a child's eyes to feast upon them all. The window "on loan" is in our President Liz's barn. Every night a different window is unveiled at 6.45 in the village and has its followers and will finish at St Andrews church on 24th. Mulled wine, or cider and festive nibbles is usually served to spectators. 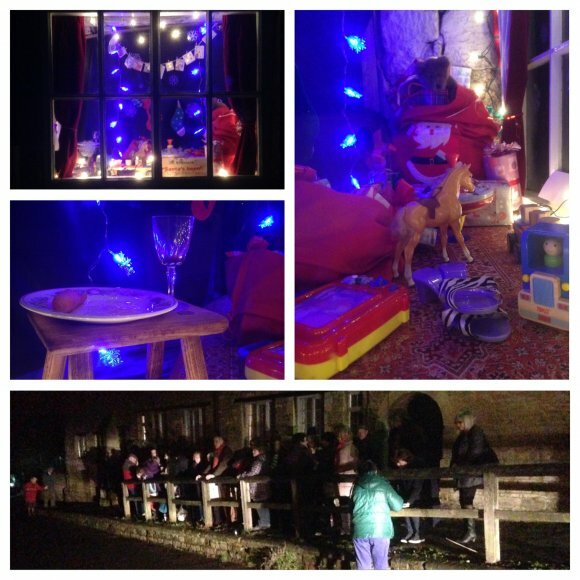 Brigstock Living Advent Window has Facebook followers too. The annual event, now in its 4th year, is all thanks to Jane Jones who brought the idea to Brigstock.